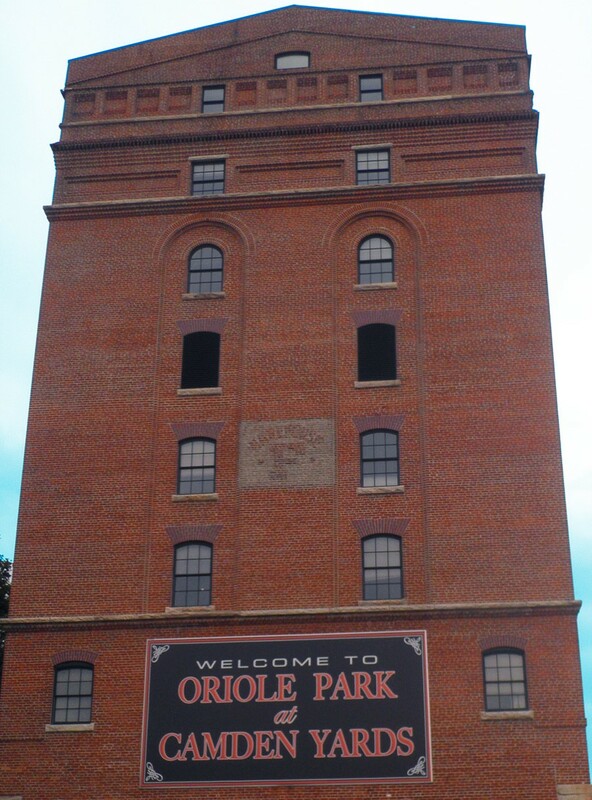 Maryland’s annual “Super Bowl” (so called because of its significant economic impact and viewership) involves many more facilities than just Pimlico. The pageantry of Preakness engages many aspects of the Maryland horse industry. And it provides the focus for a week’s worth of activities celebrated by fans and families alike. 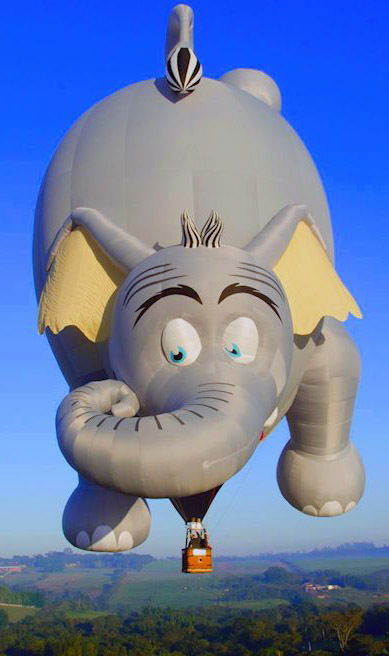 The Preakness Celebration Balloon Festival has been since the 1980’s, floating from Rash Field to Oregon Ridge before landing at Turf Valley in Ellicott City in 2007. This year, the festival, which also features entertainment, crafts, and food, will be held May 15-17. Before spirits ascend in Howard County, the Preakness participants have to get their hooves acclimated to Old Hilltop. For most, that meant a flight from Kentucky and limo from BWI. However, Ring Weekend (scratched from the Derby at the last minute with a fever) was already in the neighborhood. Now recovered from the sniffles, Ring Weekend will take a smooth ride down I-95 from his stable in Cecil County. Trainer Graham Motion, a staunch believer in the salubrious effects of country life, conditions his horses at the 350 acre Fair Hill Training Facility. Fair Hill is also known for its Equine Therapy Center, a state-of-the-art rehabilitation facility that treats horses recovering from illness and injury from all over the country. It is also the home of the governing body of steeplechase racing- National Steeplechase Association– and hosts many point-to-point events. The Fair Hill Races routinely attracts as many as 15,000 people. It is the only steeplechase course in the country that allows pari-mutuel wagering. Another notable horse-centric region of Maryland is Baltimore County. 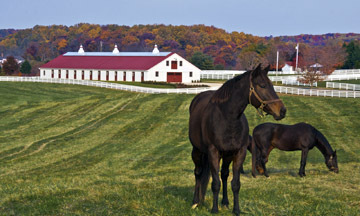 Also famed for its timber and point-to-point traditions, Baltimore County is the home of Sagamore Farm. Now owned by Kevin Plank of Under Armour fame, Sagamore is regaining prominence in the thoroughbred industry. Four Sagamore horses will be entered in Preakness preliminary races this year. Under Armour annually provides star power to the infield corporate village by hosting sports celebrities at their chalet on the finish line. But thoroughbreds are not the only breed featured during Preakness week. On Wednesday, a super-sized van pulled into Pimlico from Suttler Post Farm in St. Mary’s County. Its passengers were not entered in any race, but they have already won the hearts of pre-Preakness visitors. 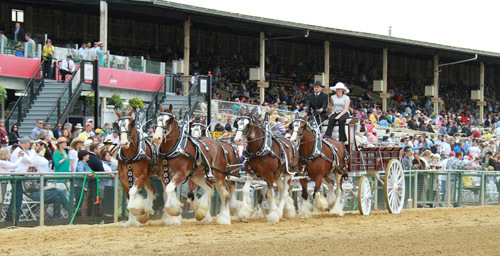 Six beautifully-trained Clydesdales will be trotting the track between races on Saturday. When the Budweiser hitch sent their regrets last year, Preakness officials were thrilled to find some home-grown giants ready and willing to fill the void. The Suttler Hill Six are currently stars of the barn tour, held three hours each morning of Preakness week to give the public a peak behind the scenes. So goes the Week of the Horse in Maryland. There’s something for everyone, and certainly a good time to appreciate the importance of the industry to our economy and quality of life throughout the state.